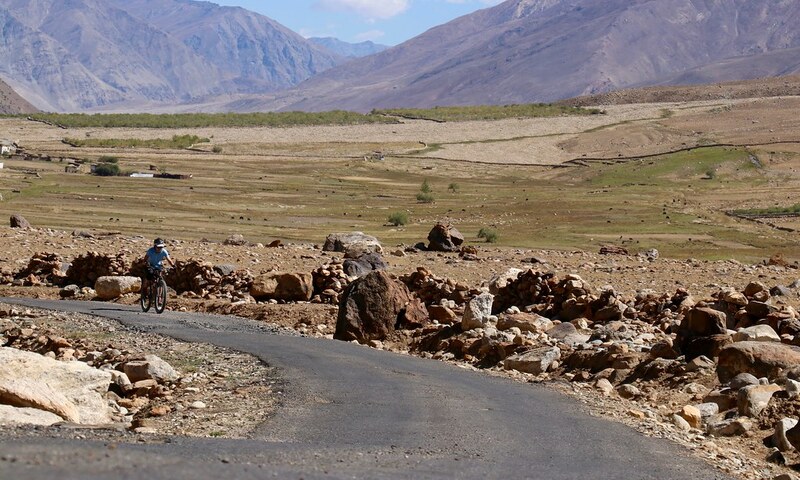 A 1200km altitude journey through Ladakh and Zanskar regions. 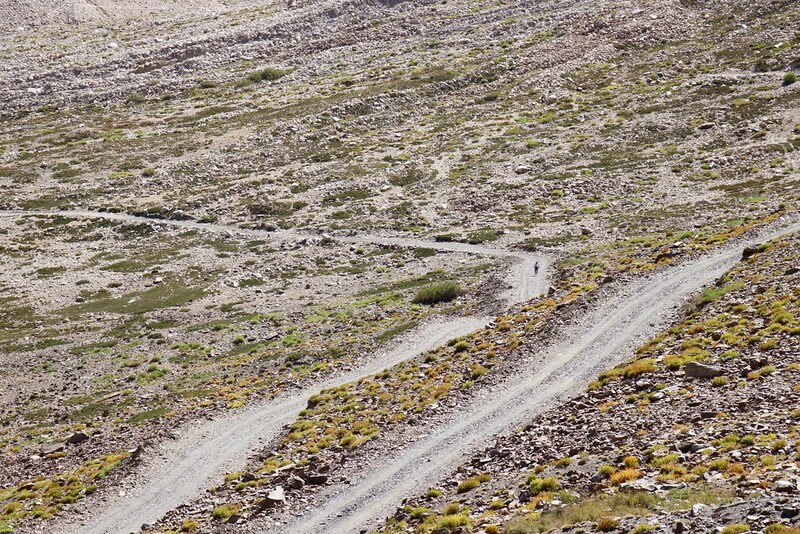 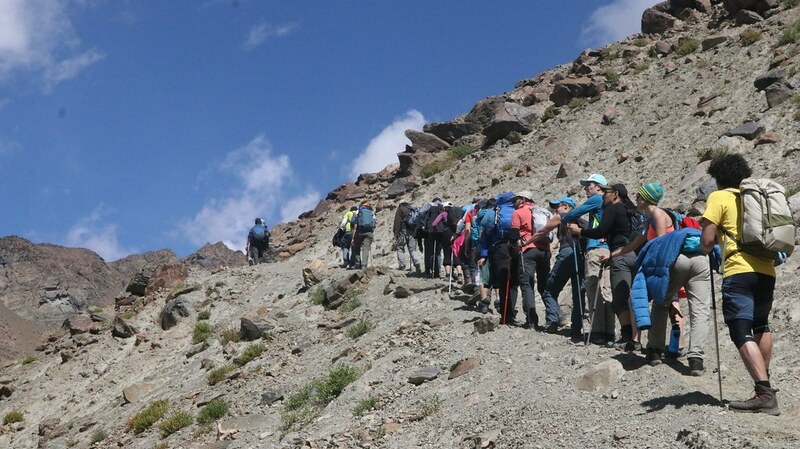 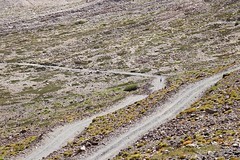 Starting in Leh (3500m), the regional tour included several of the world’s highest passes, as well as explored the environs around Pangong and Moriri lakes. 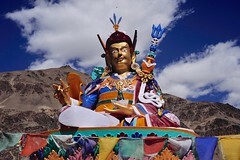 This most northerly region in India is often called ‘Little Tibet’; it is Buddhist and has the summer residence for the Dalai Lama. 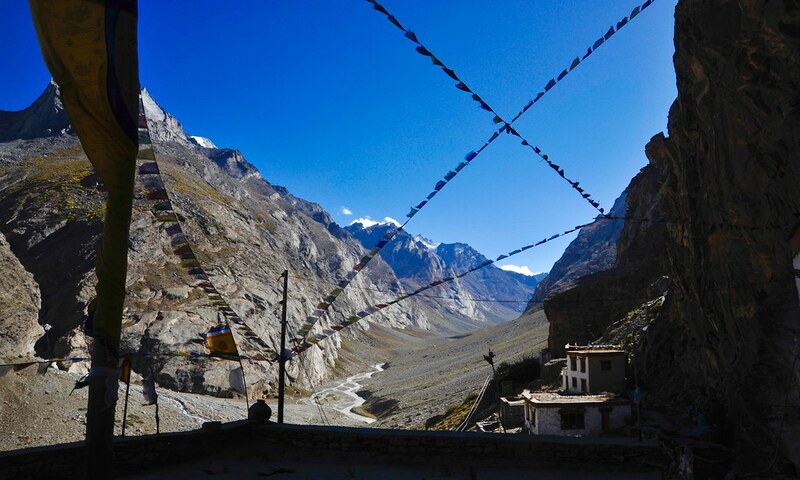 It is also a militarily sensitive region, where the borders of India, Pakistan and China meet. 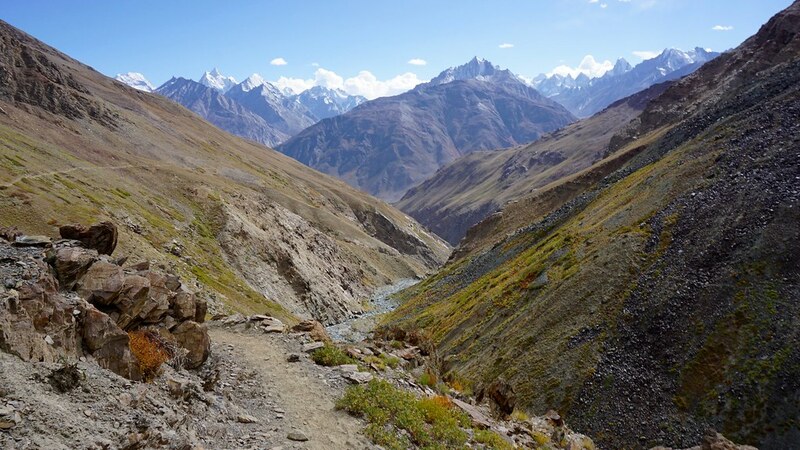 The region is often called the ‘Third Pole’ because, like with the Arctic and Antarctic, it is twice as sensitive to climate change as other parts of the world. 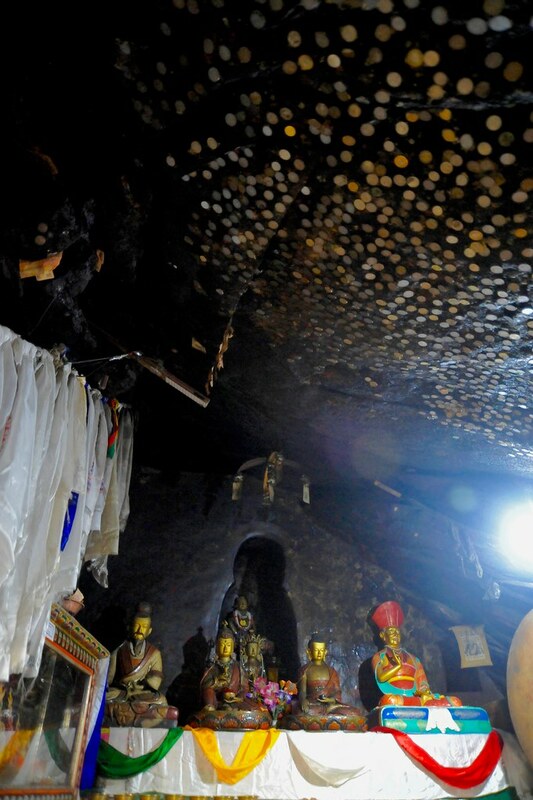 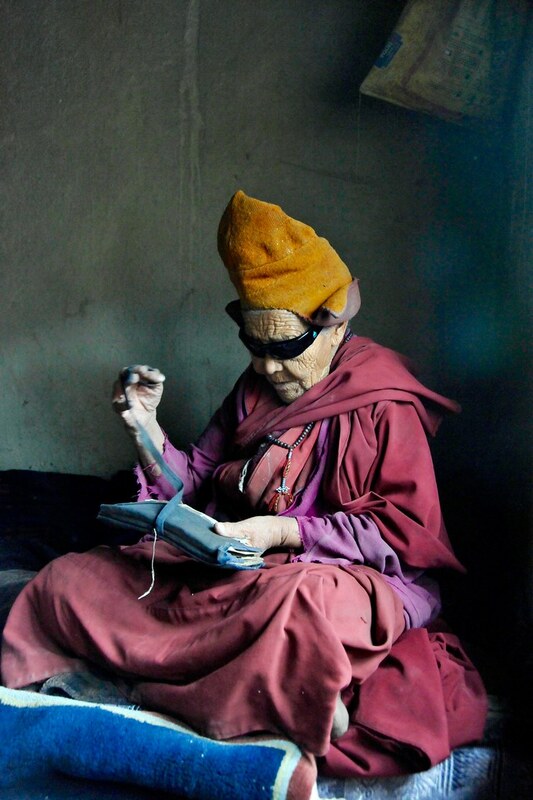 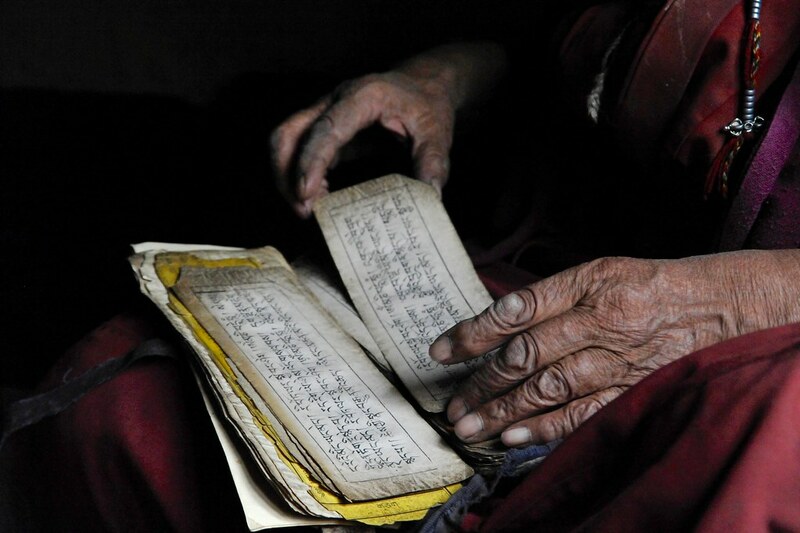 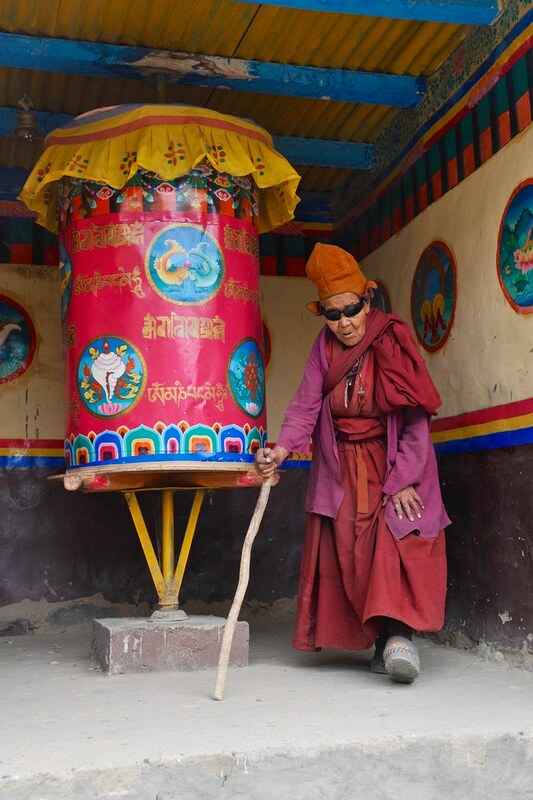 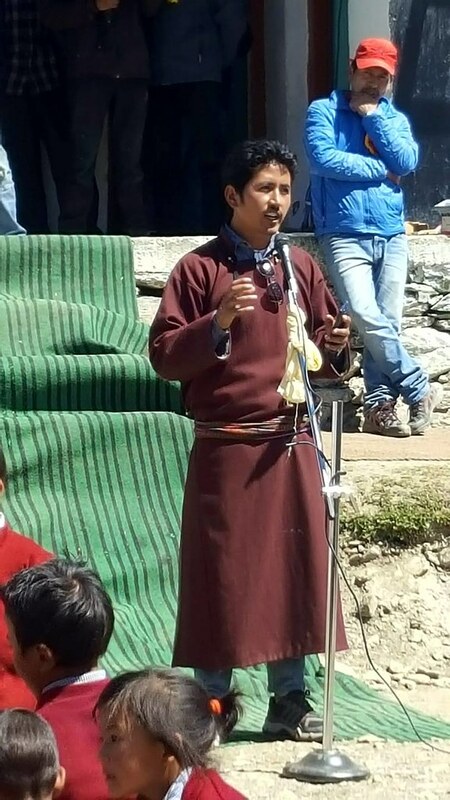 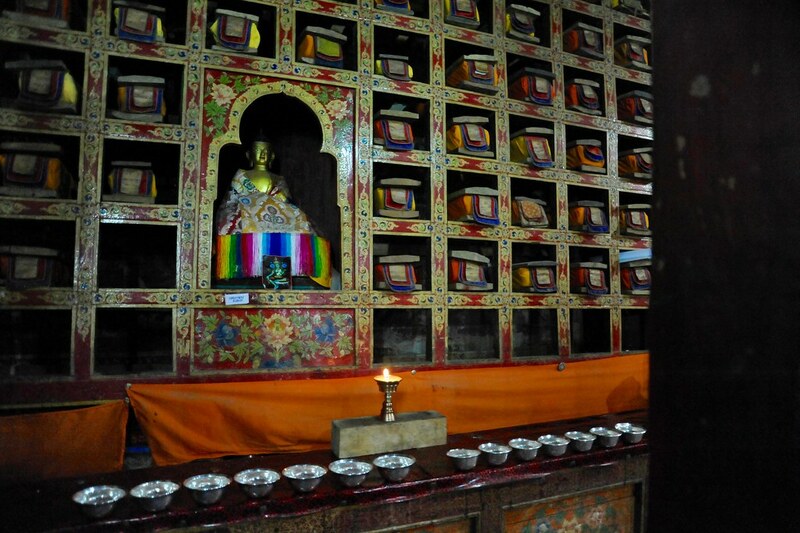 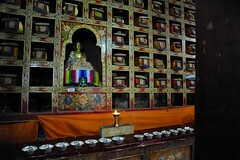 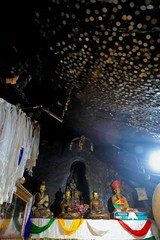 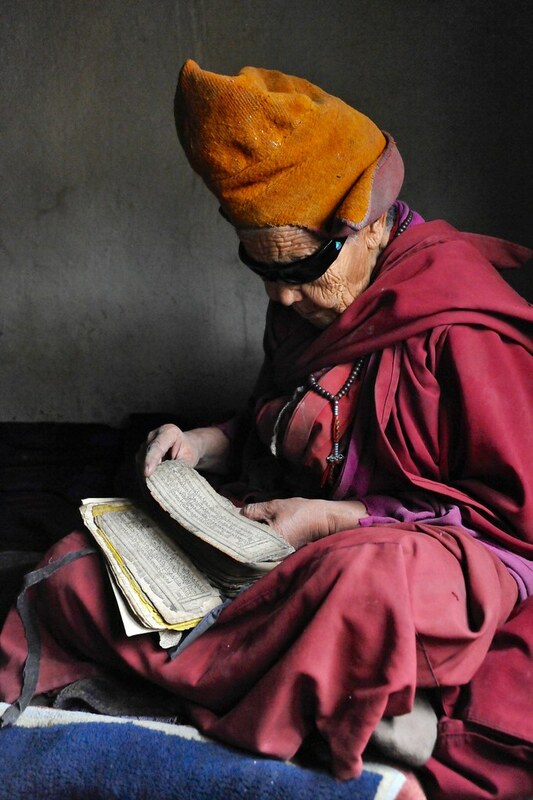 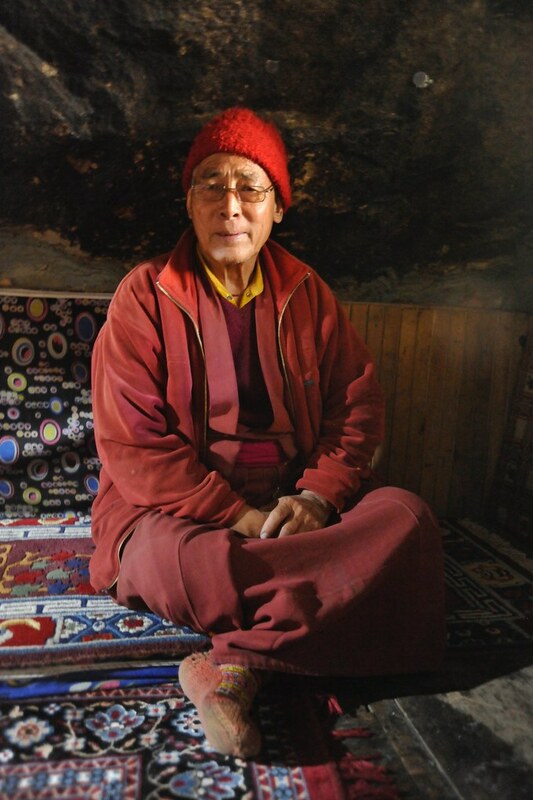 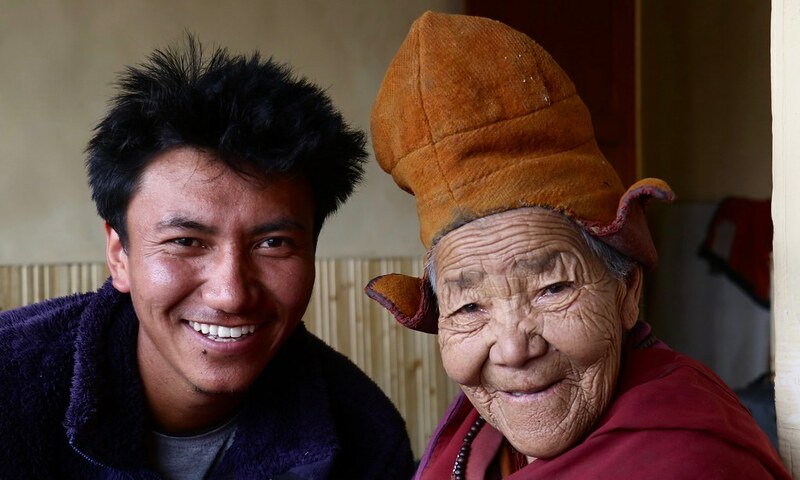 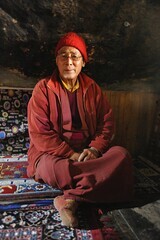 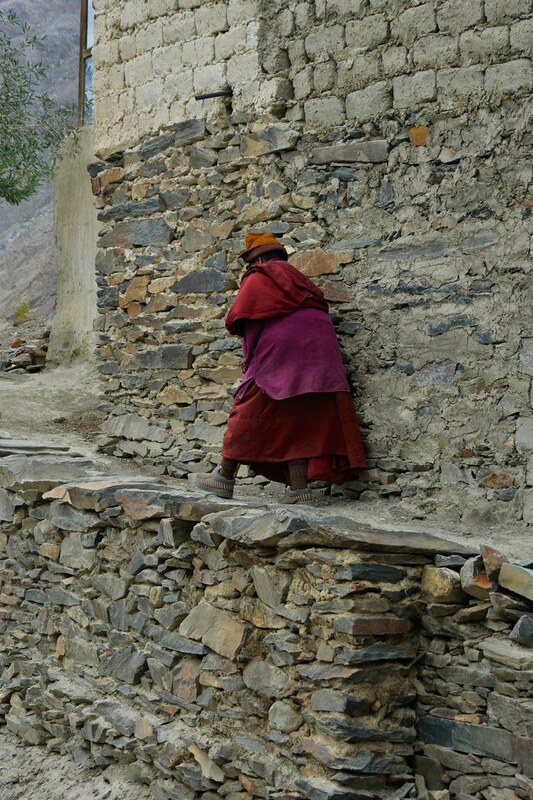 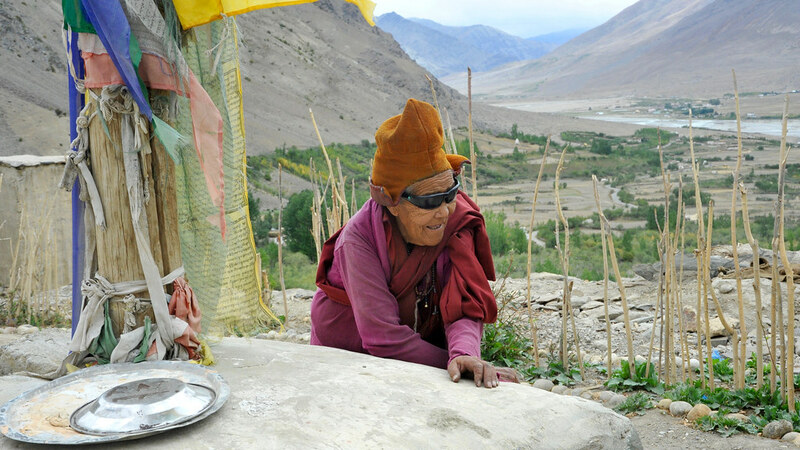 Yet traditional Ladakhi culture is one of the world’s most sustainable. 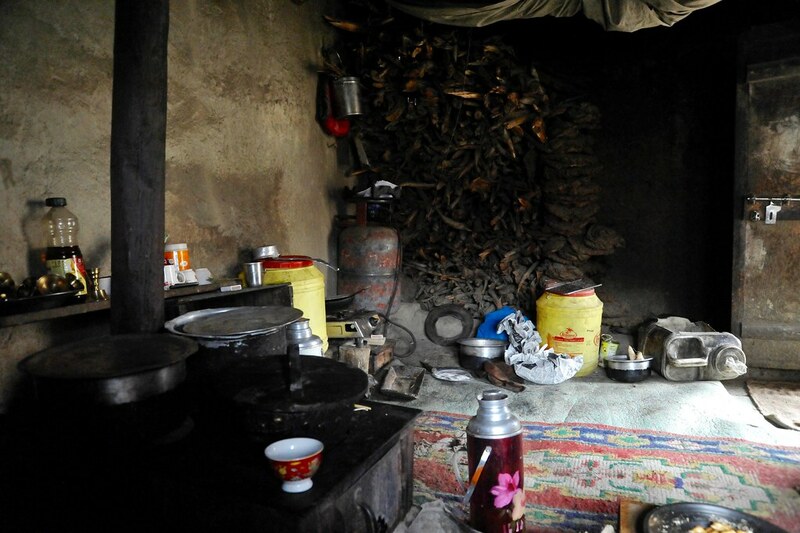 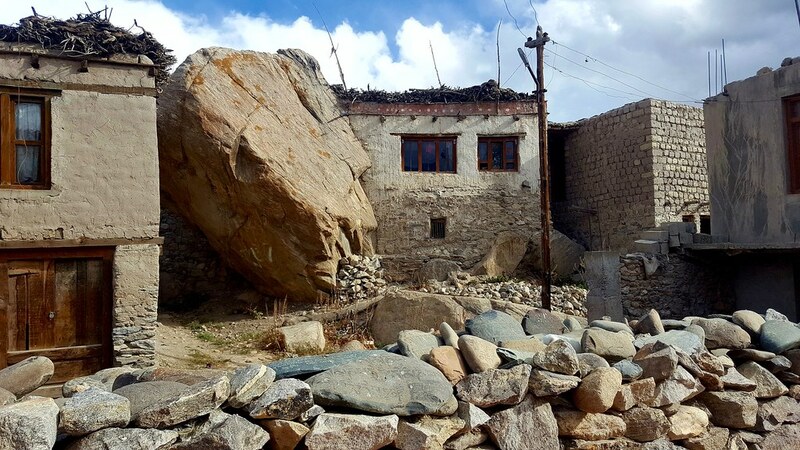 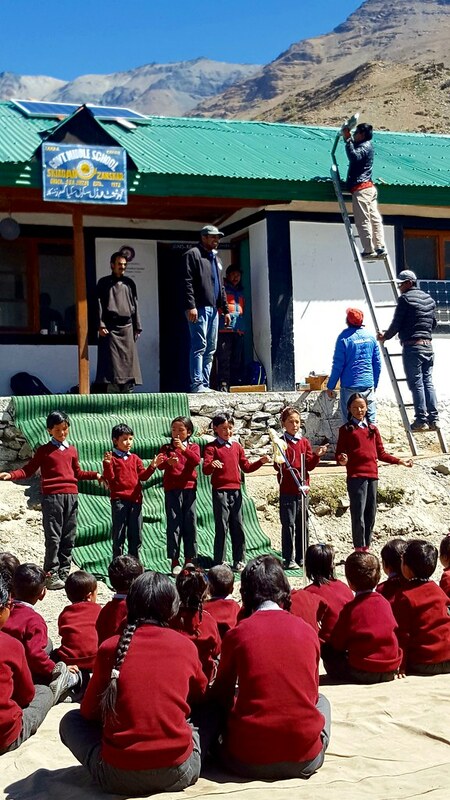 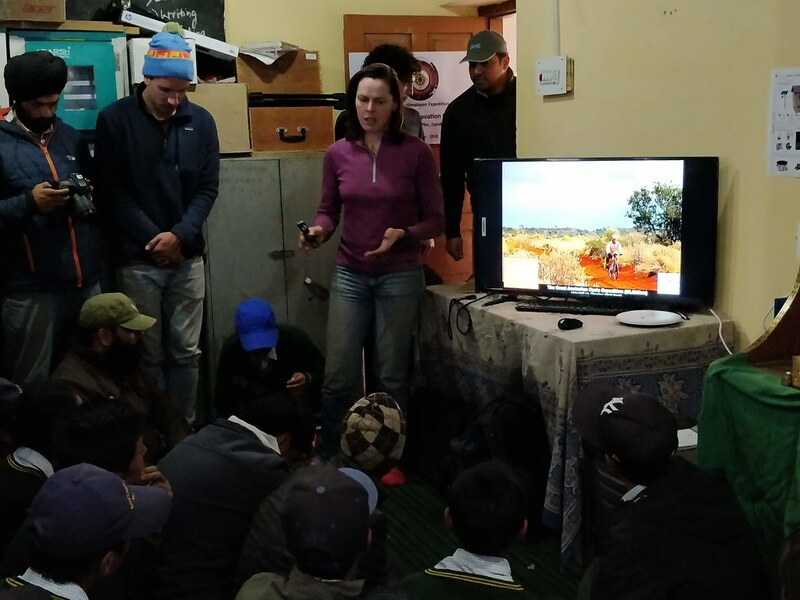 For the humanitarian mission, Kate partnered with local organisation, Global Himalayan Expeditions, to participate in a project to electrify the 1100 year old village of Ralakung, the most remote village in Zanskar, using solar power to provide light, education and a means of income generation. 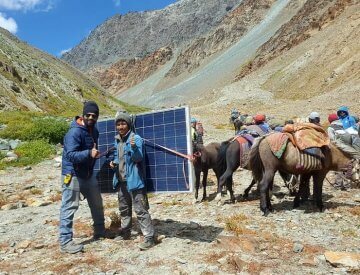 Receiving more sunlight than anywhere else in the world (more than 300 days annually), the Ladakh and Zanskar regions are ideally suited for generating solar power. 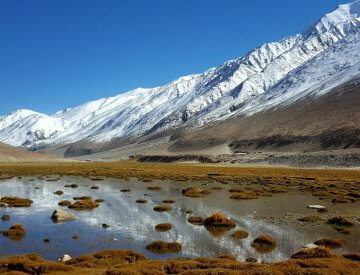 In winter, the reflection of light off the surrounding snow-covered mountains ensures at least six hours of intense solar energy production. 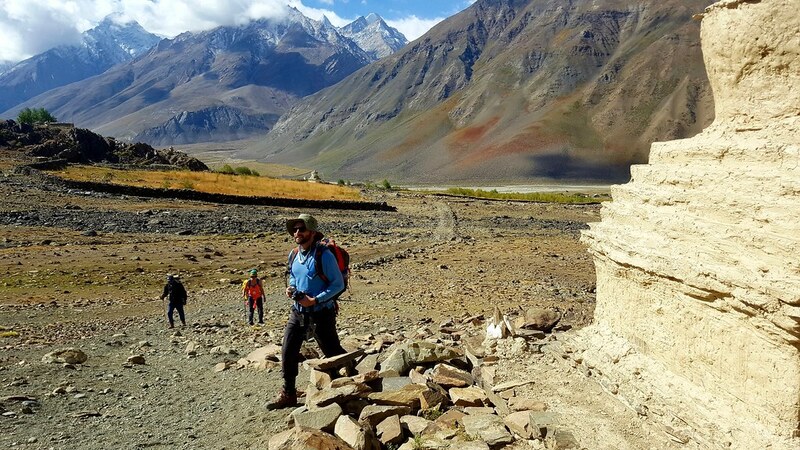 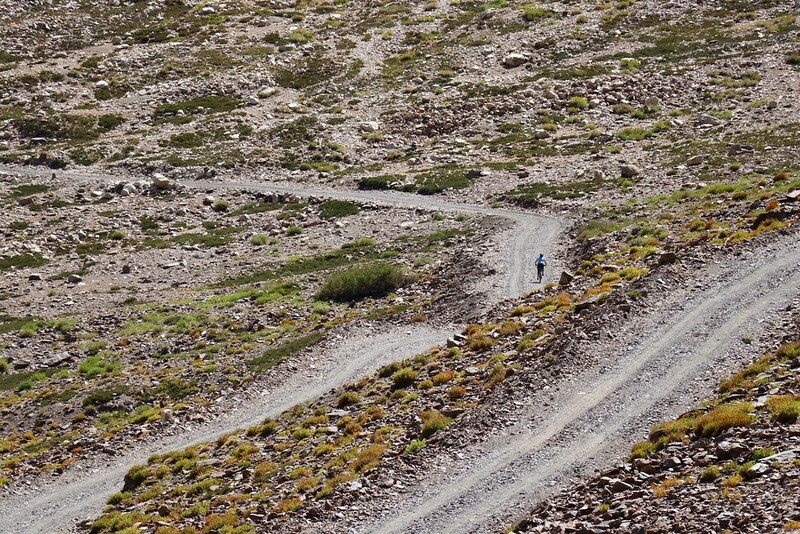 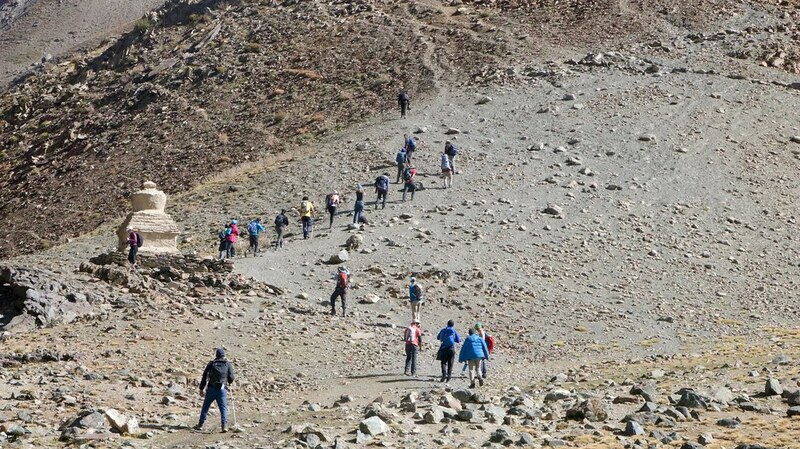 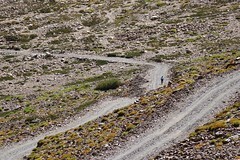 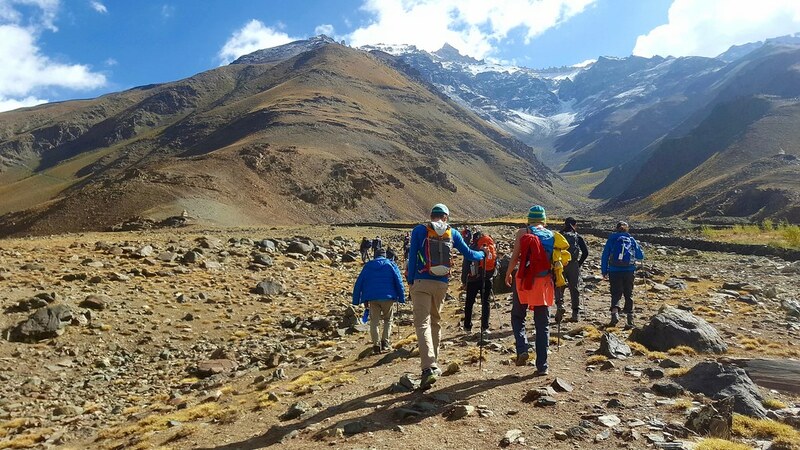 This expedition involved 60km of trekking; taking two days each way to traverse two passes, the highest being 5226m. 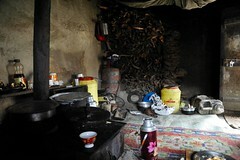 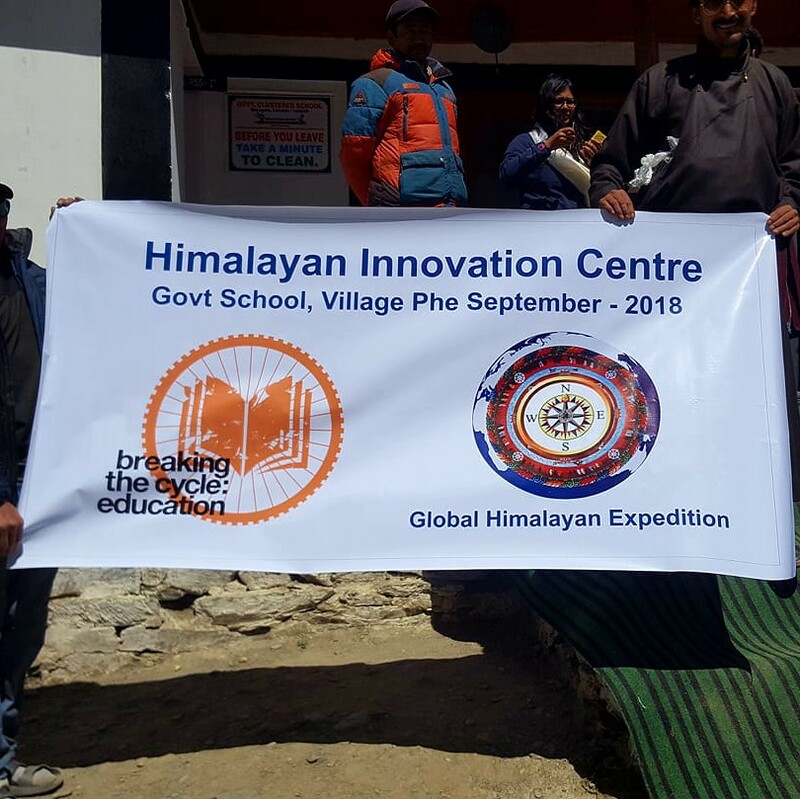 Prior to this, the expeditioners set up innovation (education) centres in the villages of Phe and Skiagam. 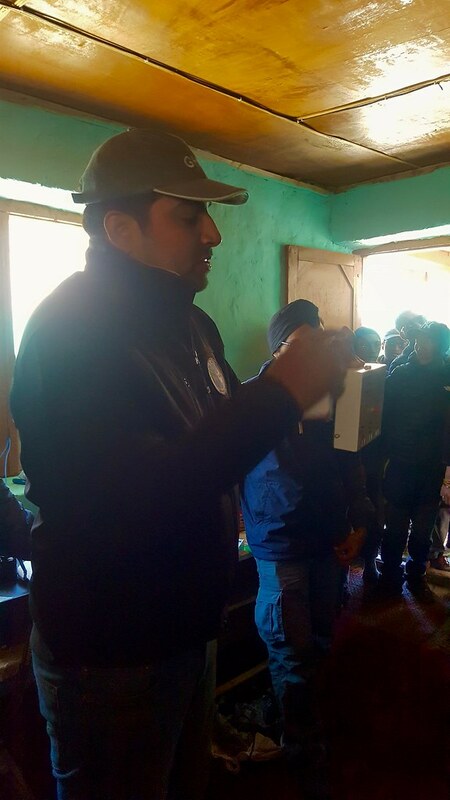 The Raspberry Pi computer systems to be installed are extremely energy-efficient. 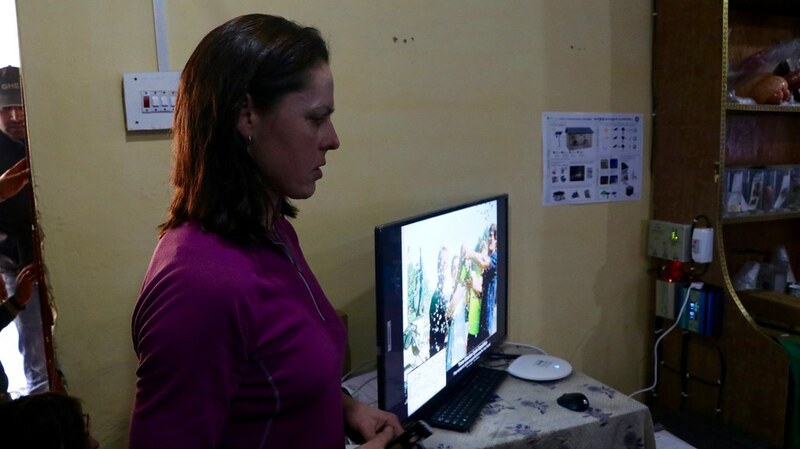 With no internet access, the computer systems is linked to special hard drives called a RACHEL device that create a WiFi hotspot to access a library of learning resources that it contains for the students – a virtual internet (not connected to the worldwide web), the next best solution. 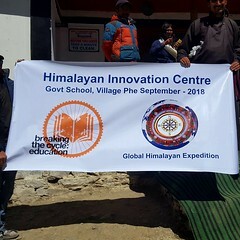 More information about the GHE expedition can be found HERE. 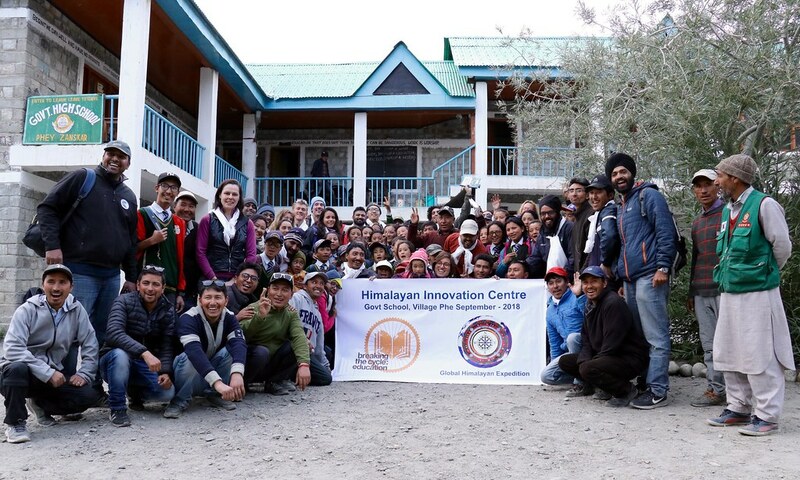 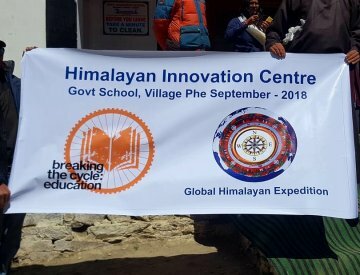 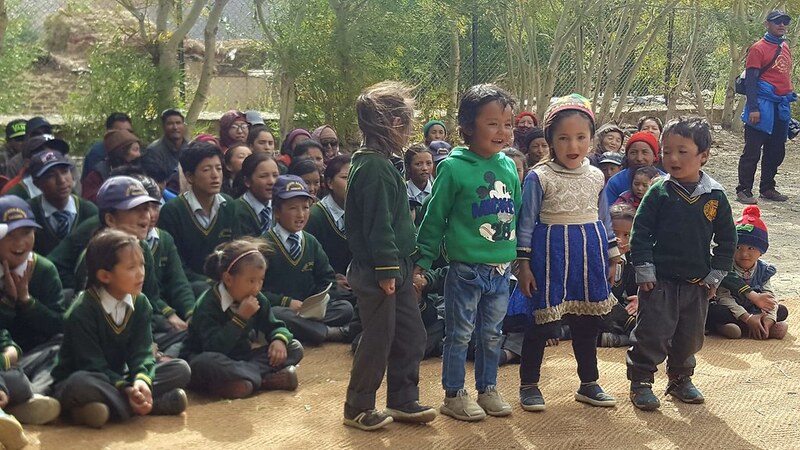 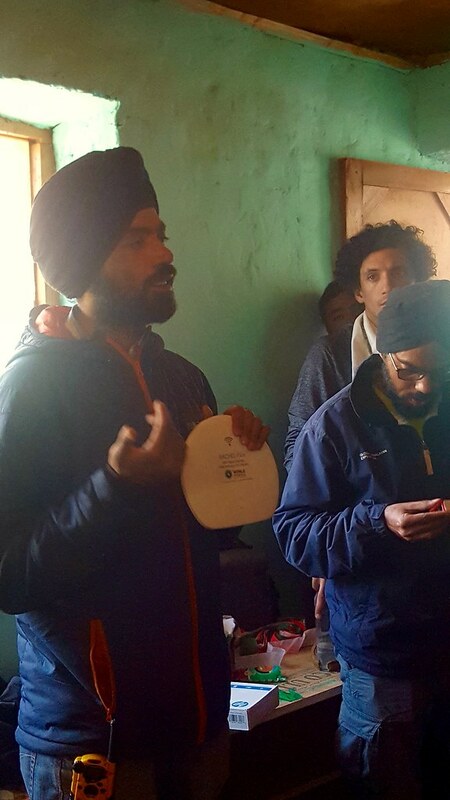 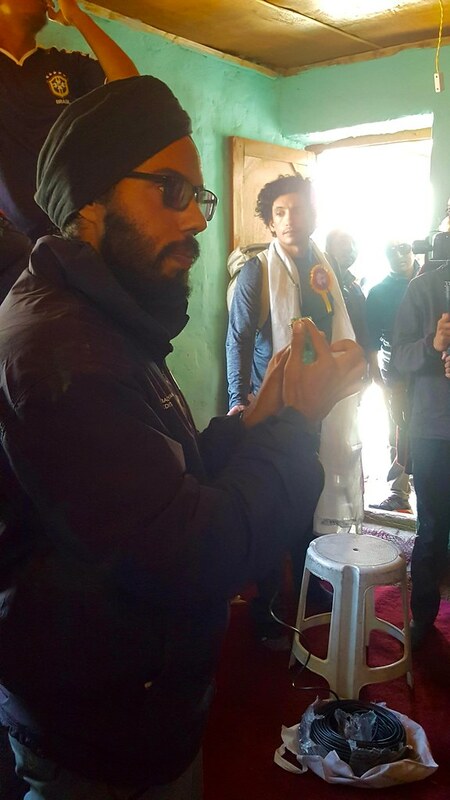 During the cycle journey from Leh to Phe, Kate stopped off at villages that have already benefitted from receiving an innovation centre – Khalsi, Wanla and Photoksar – to meet the community and present to the students. 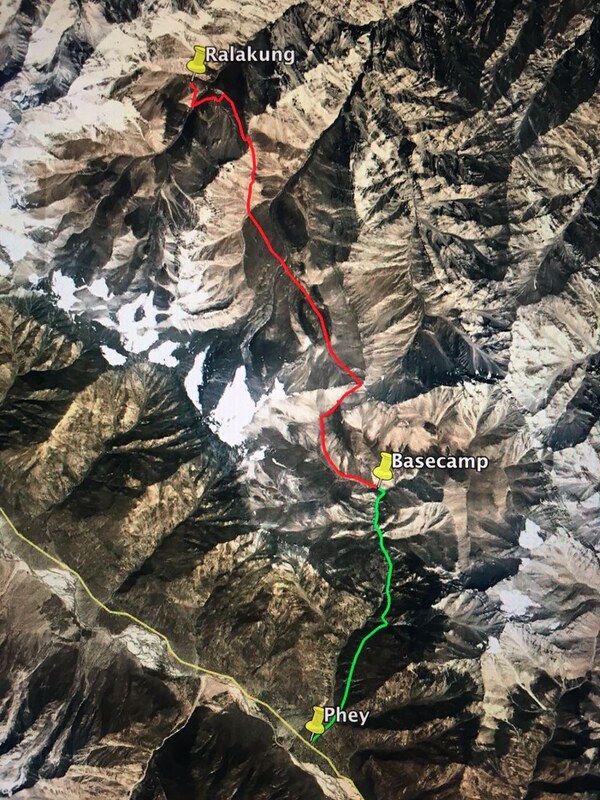 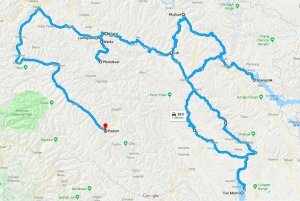 Here is the route: Stage 1 being from Leh to Phe and Padum (to take part in the GHE projects and speak at the villages along the way); and Stage 2 being the regional tour from Leh to Taglang La Pass, Tso Moriri, Chang La Pass, Tso Pangong, Shyok, Khalsar and Khardung La Pass back to Leh. 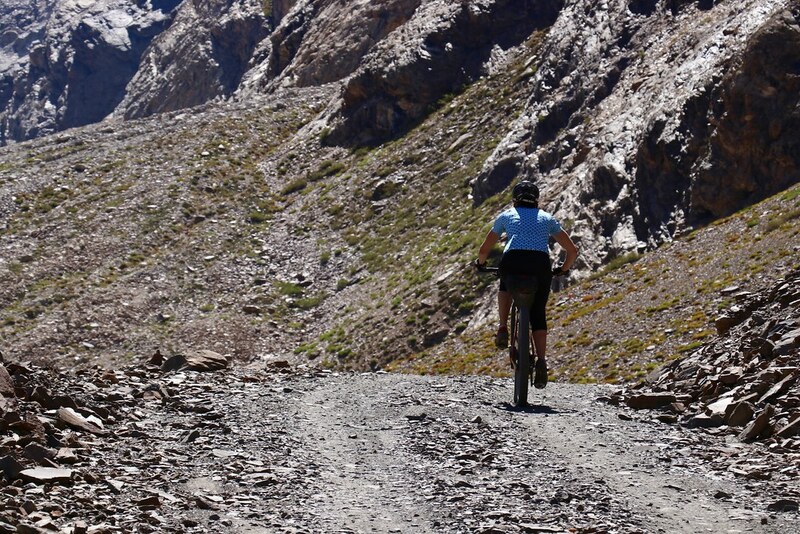 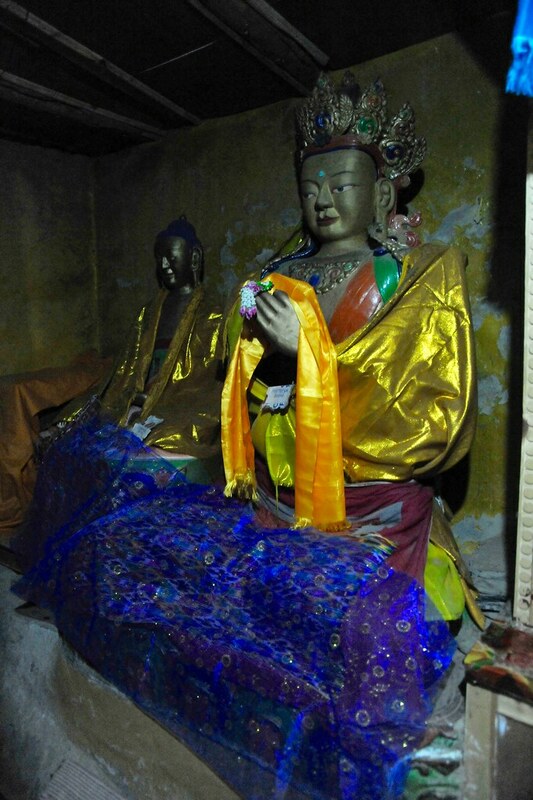 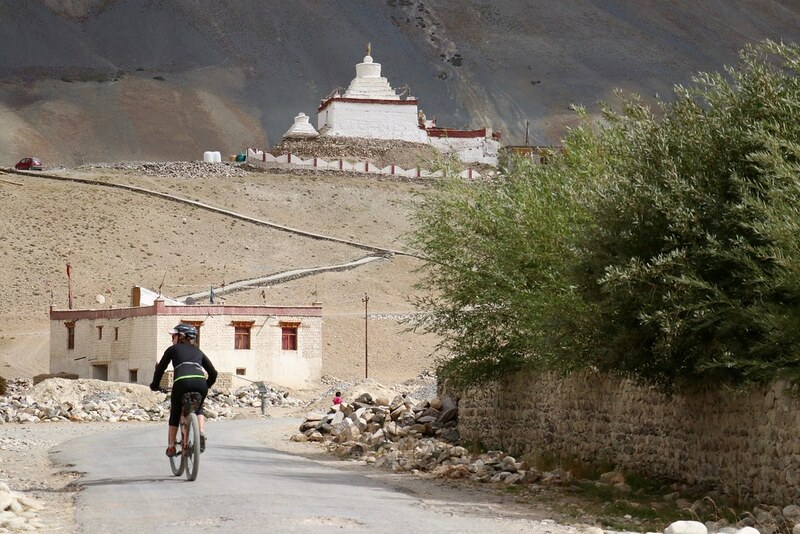 (Note: due to snow conditions, Tagang La was closed and so Kate cycled in the opposite direction to what was planned (Leh, Chumathang, Tso Moriri). 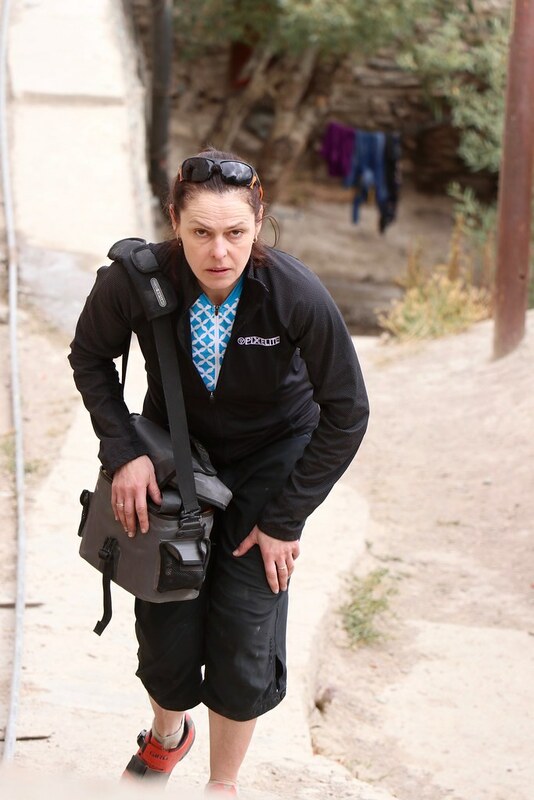 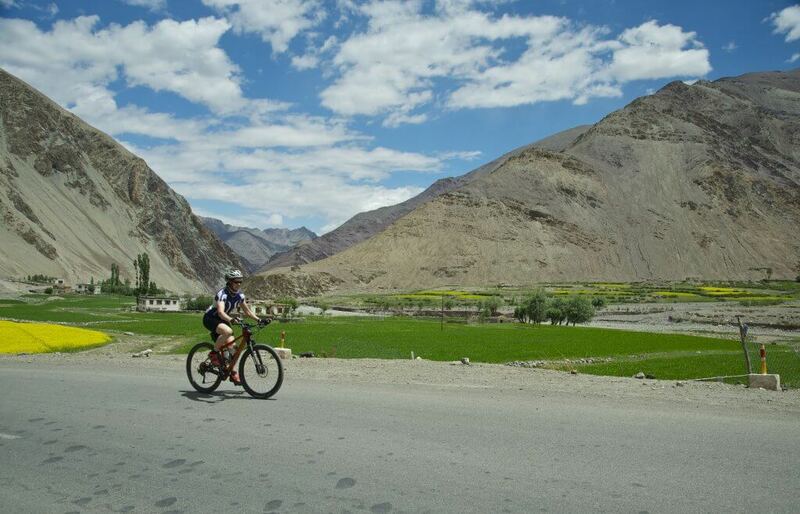 Kate also visited the Nubra region (Hunder, Diskit) from Khalsar, before tackling Khardung La. 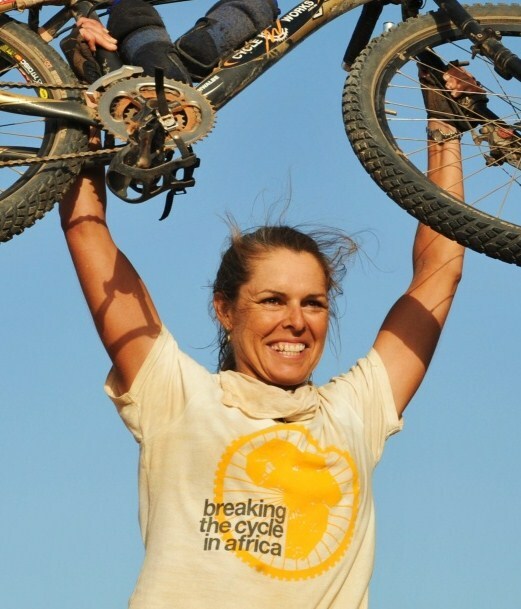 As an explorer/adventurer, Kate has cycled the equivalent of twice around the world at the Equator (80,000km). 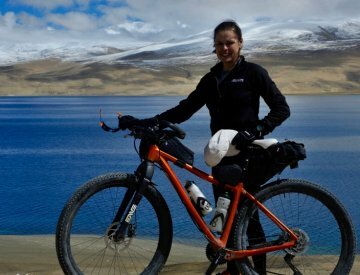 Kate first began travelling by bicycle in the early 90’s when she rode a total of 15,000km as her way of experiencing Europe. 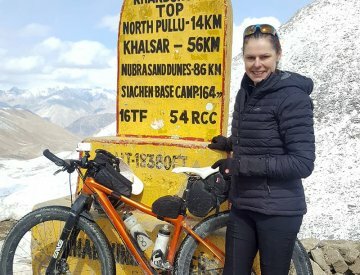 During these journeys, from Ireland and Spain, through the Mediterranean region to Turkey, central Europe and to the Nord Kapp Norway, Kate developed her passion for travelling by bicycle. 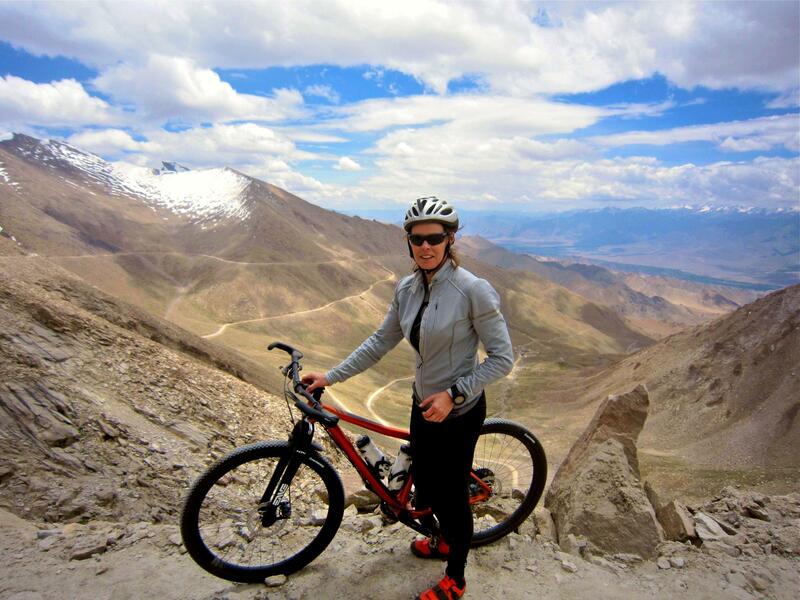 Kate loves to explore by bike because of the close connection she makes with the people and land; she loves bringing a line on a map to life, and travelling by bike she finds gives a great sense of place, a realistic perspective of how the world fits together. Since then, Kate has stepped it up, performing three major expeditions; the 13,400km Trans-Siberian Cycle Expedition from St Petersburg to Vladivostok (with Greg Yeoman), the 25,000km Great Australian Cycle Expedition (7000km off road on remote tracks) and the 22,000km Breaking the Cycle in Africa expedition from Senegal to Somalia. 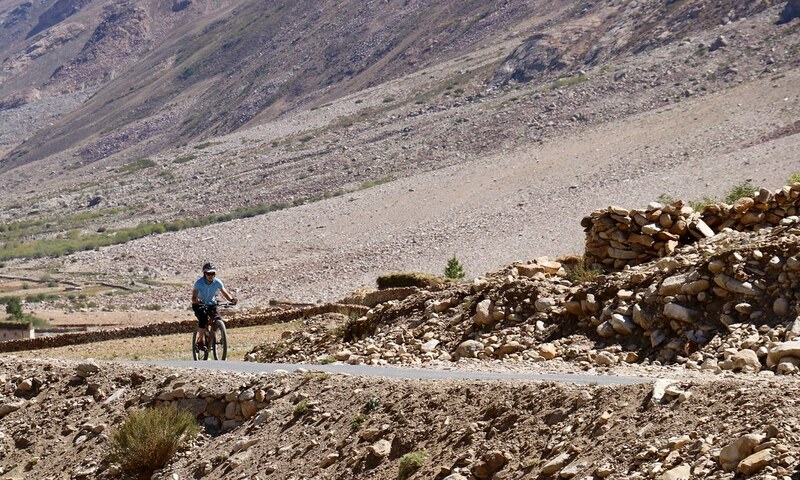 For several years now, Kate has been working towards her next venture, Breaking the Cycle South Pole, which will be the first bicycle crossing the Antarctic continent via the South Pole. 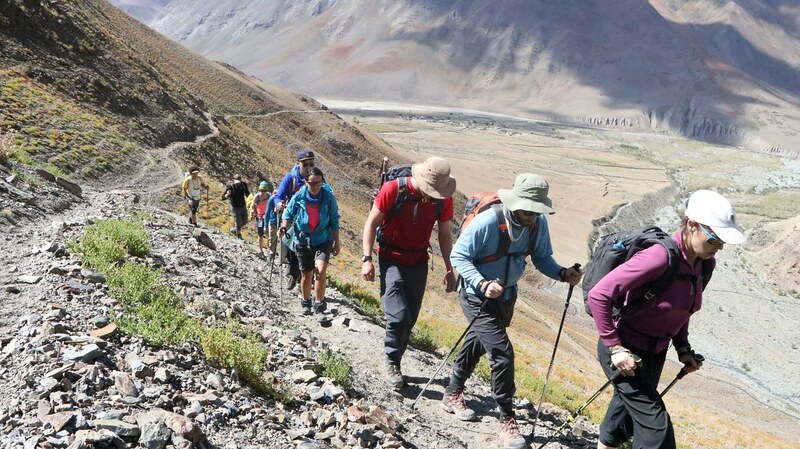 Throughout 2018, she plans to complete a preparatory expedition (polar, sand, altitude) on six continents before she crosses Antarctica starting in late November. 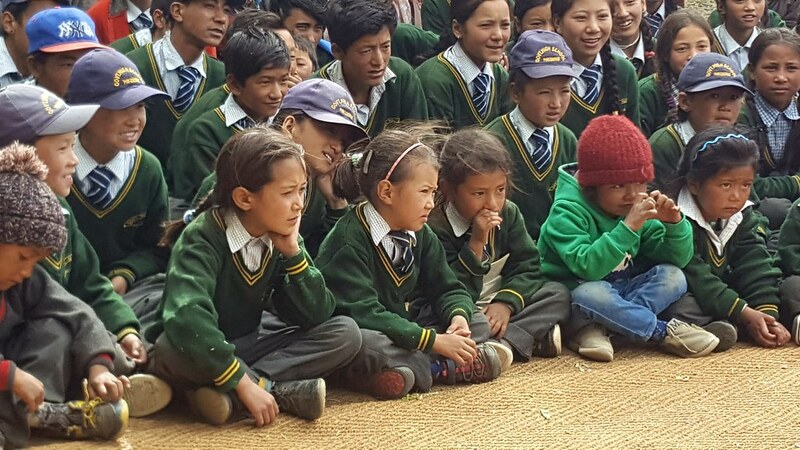 Come join the global classroom community on Belouga and participate in Kate’s full series today! 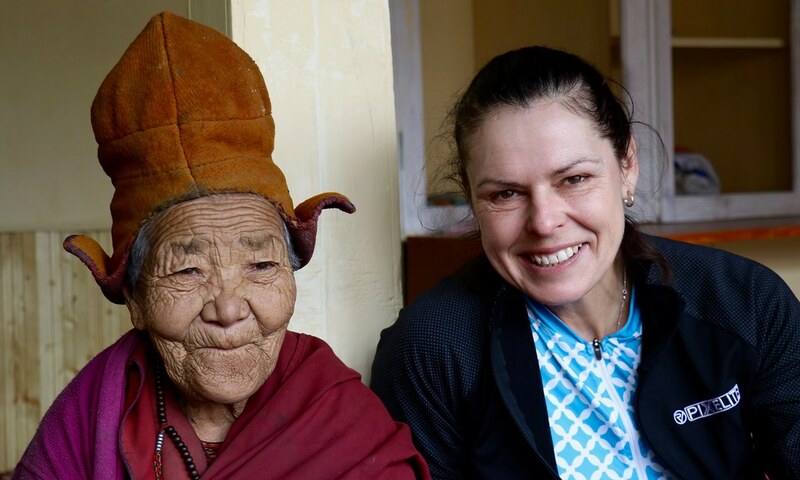 With the 85 year old nun at Tungri. 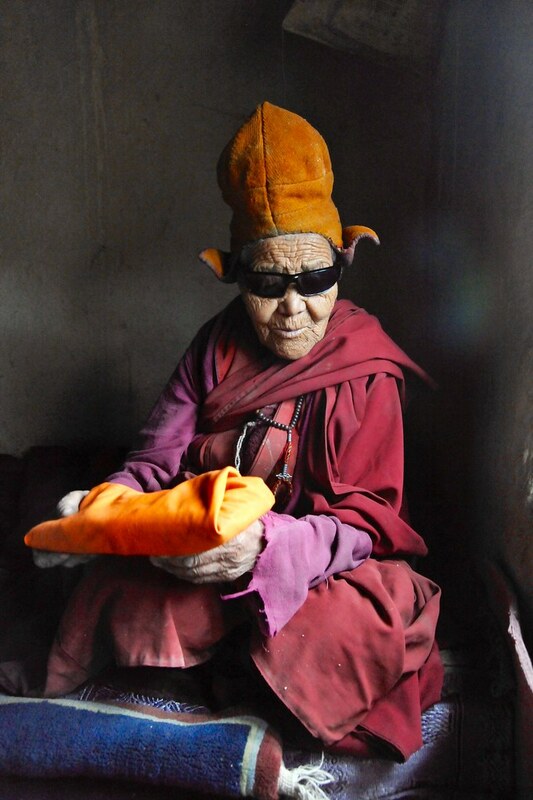 We convinced her to take her sunglasses off briefly for a photo, but I suspect because of glaucoma, her eyes were very light sensitive. 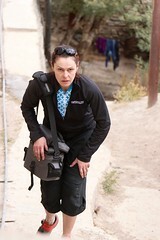 Just after starting from Phe - hopefully Cody turned to walk clockwise around the stupa!